The service users are encouraged to become members of the organisation and the potential members are made to take part in the management of the organisation at various levels and by making contribution to various activities. The board will meet on a monthly basis to monitor the organisation’s progress and to take necessary decisions to run this organisation effectively. 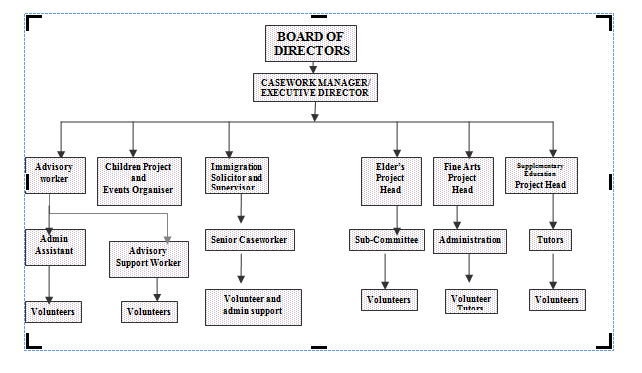 The Executive Director will be responsible for the implementation of the decisions taken by the board in running the organisation on a day to day basis.